How to install Eclipse on Ubuntu 16.04 LTS? 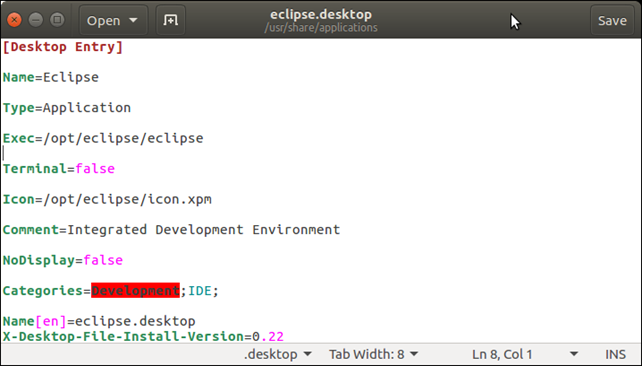 Eclipse is an IDE (Integrated Development Environment) that is used to create software applications. It was primarily used for Java application but now we can make applications in other languages also by installing plug-ins. Eclipse Foundation maintains it's development, it is cross-platform and written in Java. We can install it on the Ubuntu but before that make sure our system fulfills all the prerequisites. Visit official site of eclipse http://www.eclipse.org and download a zip folder. After downloading, locate to the download folder and extract folder. Use the following command to extract folder. Move Eclipse to /opt/ directory. Enter following details to this file. After launching, it shows start-up page that looks like the below. 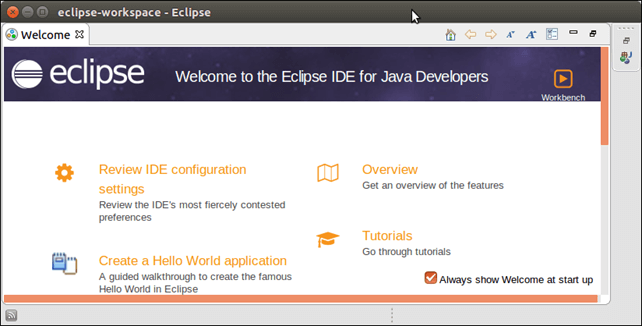 Now, open eclipse from Application Menu. It prompts for workspace location. Provide location and launch the application.